Pavitra Sriprakash spoke at the “Architecture Today” lecture series at the University of Tübingen in Germany, as part of the 30th Anniversary Celebrations. The series “Architektur Heute” is purely feminine. Architecture is by no means a pure male world. In the winter term 2016/2017 six Architects from all over the world speak about their views and projects. Under the title “Reciprocity in Design”, the young Indian woman is dedicated to sustainability and social responsibility. 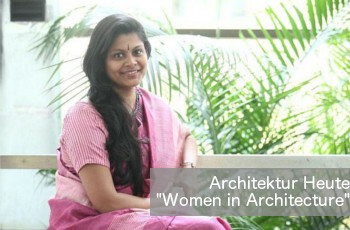 Pavitra Sriprakash is the Chief Designer and Director of Shilpa Architects Planners Designers. The office of Sheila Sriprakash was founded in Chennai in 1979, at a time when not many Indian Women Architects were running their own offices. Posted in Event Newsflash .